Does MAGFAST Wall fit every type of twin outlet? Almost! Here are some guidelines you should keep in mind when using your Wall. MAGFAST Wall charger is designed to have an absolute, correct, standard separation between the two outlets and plugs, which is 1 9/16" (39mm). 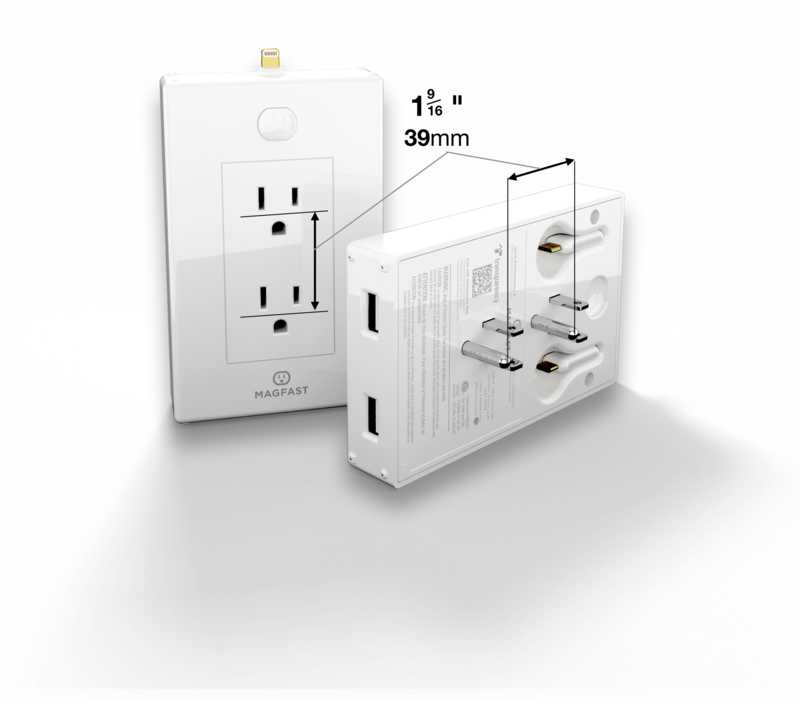 This means that MAGFAST Wall fits the vast majority of the 'Type B' outlets typically installed in North American buildings. However, some outlets are designed with a non-standard separation, and thus aren't suitable for Wall. The most common example of this are the GFI (Ground Fault Indicator) outlets used in most kitchens and bathrooms. These are the ones with the small 'test' and 'reset' (usually black and red) buttons located between the outlets. In practice, this isn't such a bad thing. GFI outlets shouldn't really be covered by anything anyway (they are intended for safety in those environments). When correctly installed, there are likely other outlets nearby also protected by the GFI, but with the correct, standard spacing in which Wall fits. Why don't you just use one set of pins then? Because we prefer that Wall performs terrifically wherever it's utilized. With a twin set of precision pins, Wall is extremely solid and stable when plugged in—ready for you to load up with all your other MAGFAST goodies! Will it fit my horizontally installed outlets? While MAGFAST Wall wasn't designed with horizontal outlets in mind, you may still use your Wall with a horizontal outlet, however keep in mind that you won't get the full functionality that you would with a vertically-installed outlet. For example, while you won't be able to charge your devices on top of Wall using our Adapter Tips, you will, however, be able to magnetically charge your other devices by snapping them on to either side of Wall. To charge your devices, you may use a standard USB cable and plug in to one of the two USB ports on the "bottom" of the Wall. Easy fix! One more exception is MAGFAST Air, which you would normally mount on top of the Wall and seat your phone onto it to charge wirelessly, without tips.  Again, a horizontal orientation will not allow for this. In this case, you would use Air as a desktop charger instead. If you are someone who can't seem to find a suitable outlet in your home/office/workspace, and feels Wall is not a good "fit" for you, remember there are other ways of getting power into any of your portable MAGFAST chargers. With 5 ways of getting power in, you can still use any other of the MAGFAST Family of products without relying on Wall. Have additional questions or thoughts about powering your Wall? Feel free to hit the chat button or email the team at hello@MAGFAST.com.